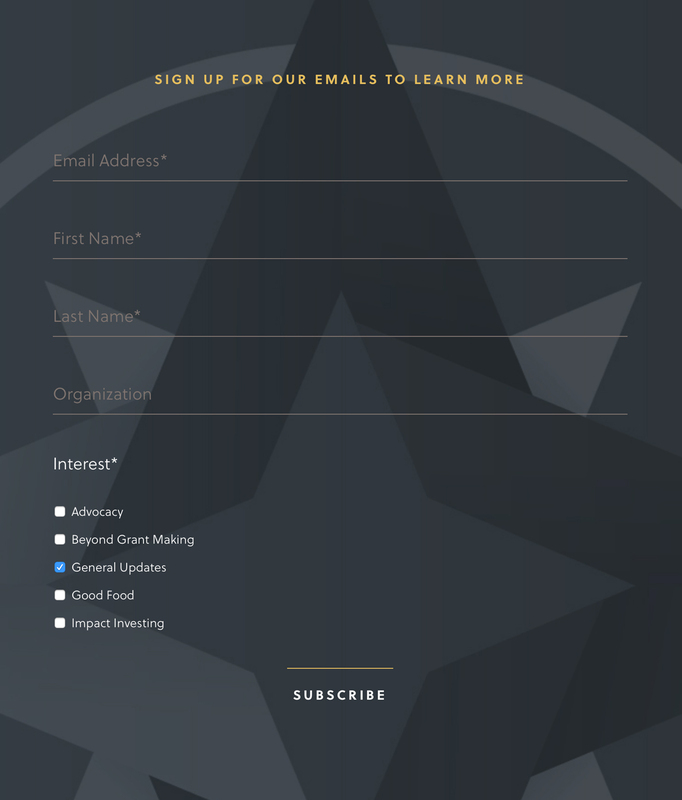 Arabella Advisors is the world’s leading provider of philanthropy consulting and impact investing. 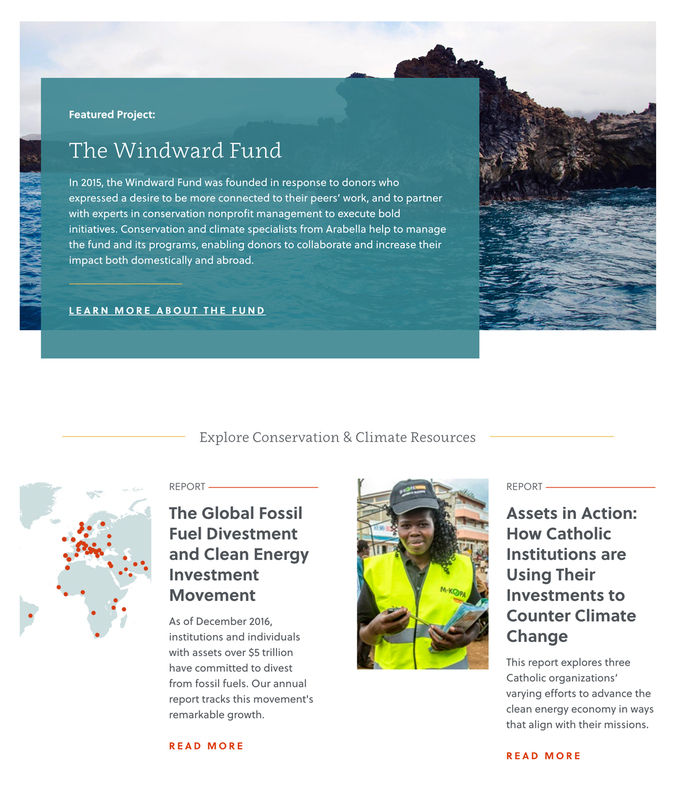 They work with three diverse audiences—Corporations, Foundations, and Individuals—developing and implementing innovative solutions that address the complexities and challenges of philanthropic investing. 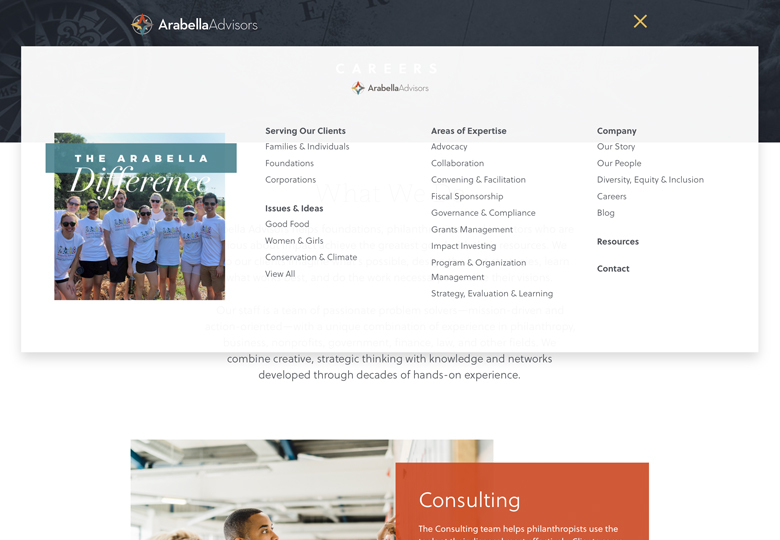 Having three audiences means they need a lot of specialized content, but the site they had wasn’t designed to support the wealth of information Arabella had to offer in a meaningful way. That left them with a website full of service-focused information but lacking order, clarity, and usability. For site visitors, this led to confusion and missed opportunities. The new site would demand a succinct web strategy and a transparent web experience paired with easy-to-follow user paths and engagement opportunities. Throughout the project, Peaktwo worked closely with a large Arabella team. 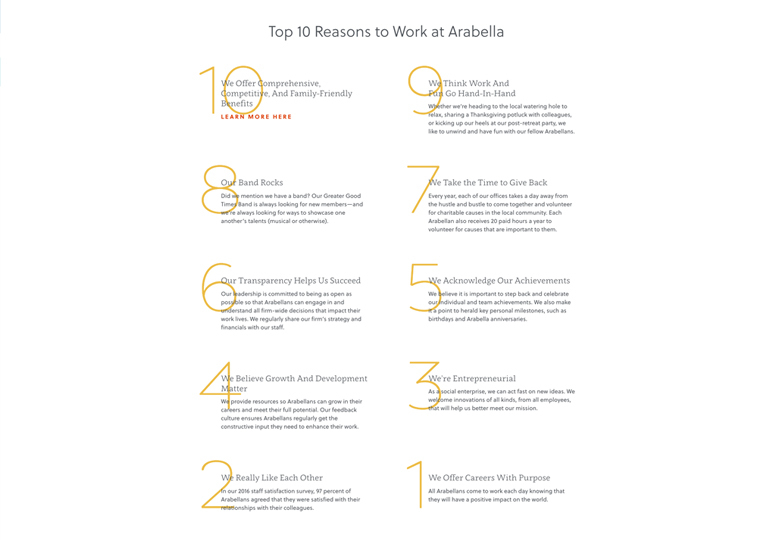 There was representation from all levels of the organization, demonstrating not only the importance of the new site, but the group culture that makes Arabella such a special place to work. And yes, large teams bring about unique challenges—building consensus, focusing on set objectives, and managing new ideas. These challenges had to be met without adversly impacting project scope and schedule. 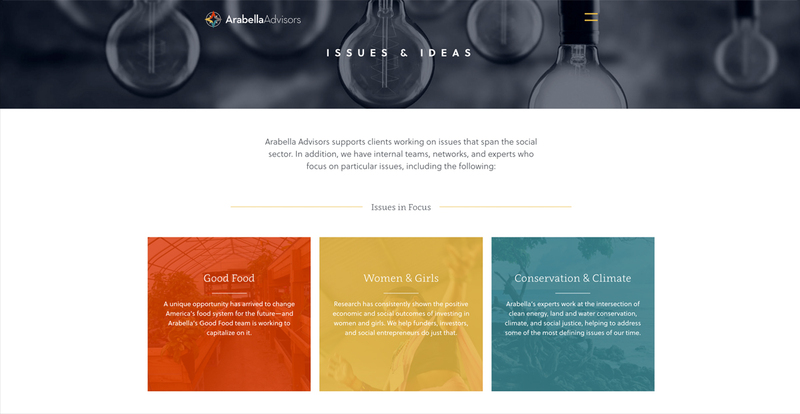 We are very proud of the new website, it’s a true reflection of the people and mission of Arabella Advisors and what we believe is an absolutely beautiful online experience. We conducted an extensive RFP process and selected Peaktwo because they came with perspective and - importantly - a willingness to push back on us as the customer. The customer is always right (except when they aren’t) and we didn’t want to engage a team of “Yes-Men” and “Yes-Women”. Peaktwo delivered on their promise to be a strategic partner who would help us thoughtfully design an experience for our visitors. They were far more than simply our web developers.